We take pride in the personal touch we give to each client. You will find that our staff to be very friendly and willing to help you and your pet in any way possible. 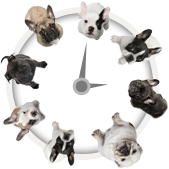 Your pet deserves to only have the best in medical care and we are more than happy to assist in your pet's needs.